Vote: Should Families Turn Off Cell Phones During Meals? A recent report by Common Sense Media revealed that teenagers (ages 13-18) use an average of nine hours of entertainment media per day and that tweens (ages 8-12) use an average of six hours a day. That excludes the time teens and tweens spent using media for school or homework. The dinner table has become one of the places where family members often use their cell phones. It’s an issue that even Pope Francis has addressed, urging people to leave their smartphones aside and enjoy the “fundamental experience” of sharing food. And as you saw on the show today, some restaurants are introducing incentives to encourage their customers to unplug while dining. We want to know what you think. 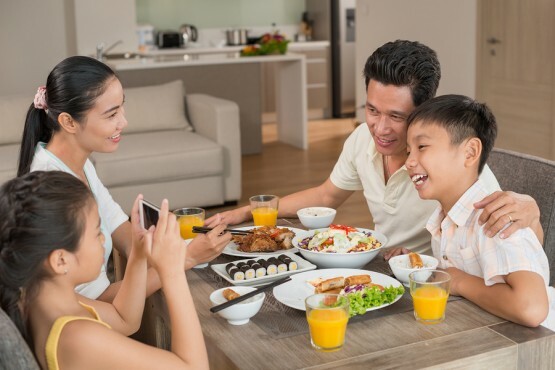 Should families turn off cell phones during meals? Vote in the poll and tell us your thoughts in the comments section below. We will feature the results of the poll and some of your comments on the show. I think we should NOT be on our sell phones wily we eat with family or inbody. I think we should NOT BE ON OUR SELL PHONES WILYL WE EAT DINER WITH FAMLIMY. Famly is way more iportnt then our sell phones. We should bond with famliy. It is reod to be on your phone wilyl you are earing with inybody. Some when I eat with my parints, they are on ther sell phones and I think relly mom. I am 10 and I think gronup should not be on ther sell phones when they could be doing other stuff. I like my phone and all but diring famliy time FORGETIT!